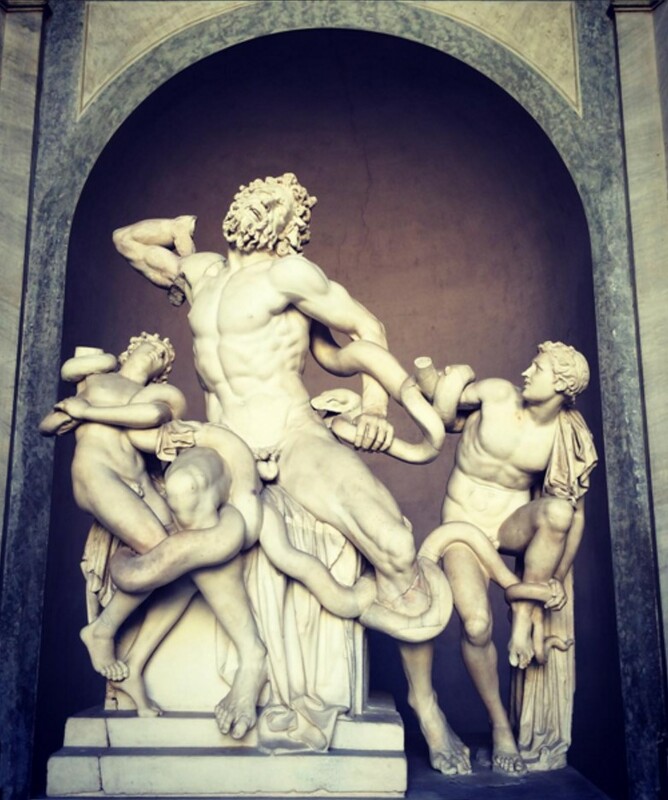 “Rome – the city of visible history, where the past of a whole hemisphere seems moving in funeral procession with strange ancestral images and trophies gathered from afar.” George Eliot (English novelist 1819-1880). “Rome is the city of echoes, the city of illusions, and the city of yearning.” Giotto di Bondone (Italian painter and architect. Died 1337). 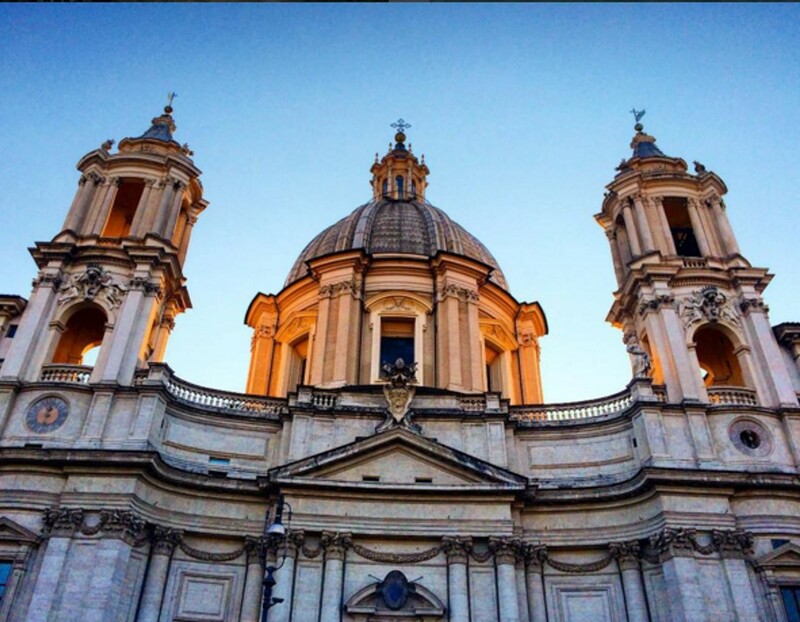 “Rome Wasn’t Built in a Day.” John Heywood (English writer 1497 – 1580). 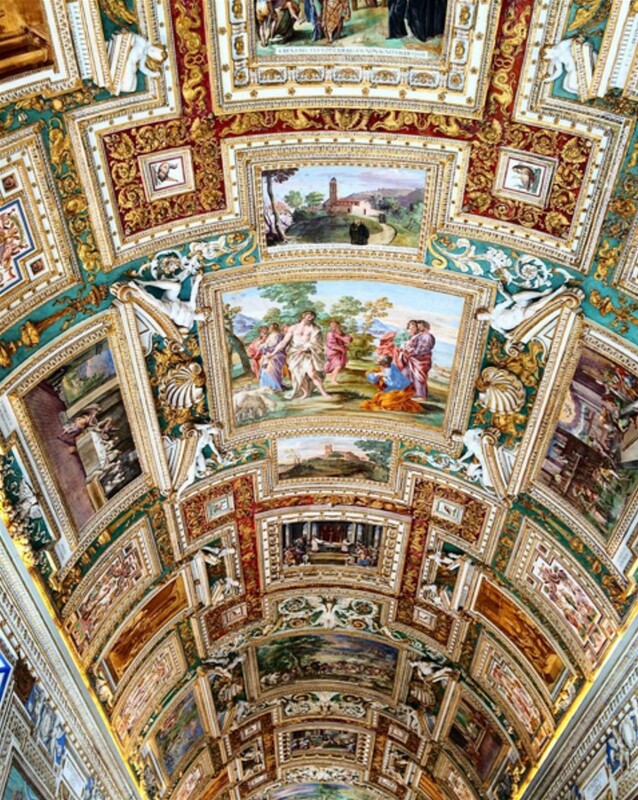 First of all, if you are planning on visiting the Colosseum and the Vatican City, pay for a tour. You can visit the Vatican City for free every Sunday, but it’s only till midday and I promise you, even if you queue up at 7.00am, you’ll still be waiting in the queue. The advantage of paying for a tour is not only the information you receive, but skip the long queues altogether. 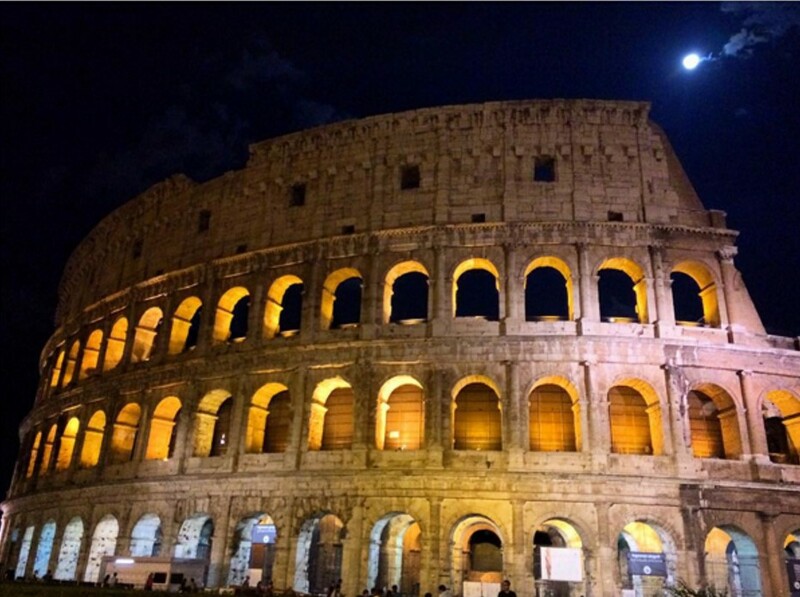 Do the above tour during the day, but definitely go visit the Colosseum at night, it is truly breath taking. Visit the Pantheon at night. It looks amazing washed in the moonlight, against the dark sky. Instead of settling in one of the bars, buy a bottle of wine from nearby shops, ask them to open it and drink in plastic cups while soaking up the atmosphere. Even though Trevi Fountain is covered in scaffolding, it is worth going out of your way for it. It was jawdroppingly beautiful even though it wasn’t working. 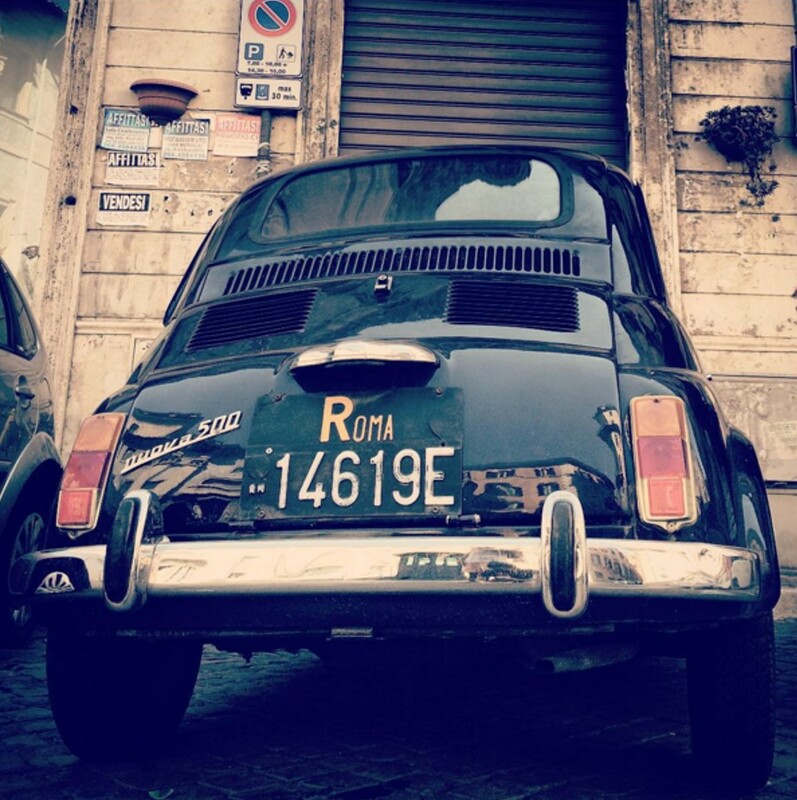 Go and walk around in Trastevere. It’s a really nice and trendy area with buskers outside. Again you can grab a beer from a nearby shop and sit with other tourists and locals alike and watch the buskers do their thing. For THE BEST gelato you’ll ever have, go to Della Palma near the Pantheon. They have mind-bogglingly extensive range of flavours and each tastes better than the next. You’re welcome! In my humble opinion, coffee anywhere in Italy is amazing, but if you want to have a cuppa at the oldest coffee shop in Rome, visit Sant Eustachio by the Pantheon. It’s popular among tourists and locals alike. If you like tiramisu, you absolutely cannot afford to miss Bar Pompi. It’s the most famous and best tiramisu in Rome and the feather-light mascarpone goodness is worth the hype. So everyone who knows me personally thinks I have FOMO, get this, we got back on Monday night from Rome and Mrs. FOMOist had a flight to Brisbane on Tuesday where she went for two weeks to attend her cousin’s wedding. 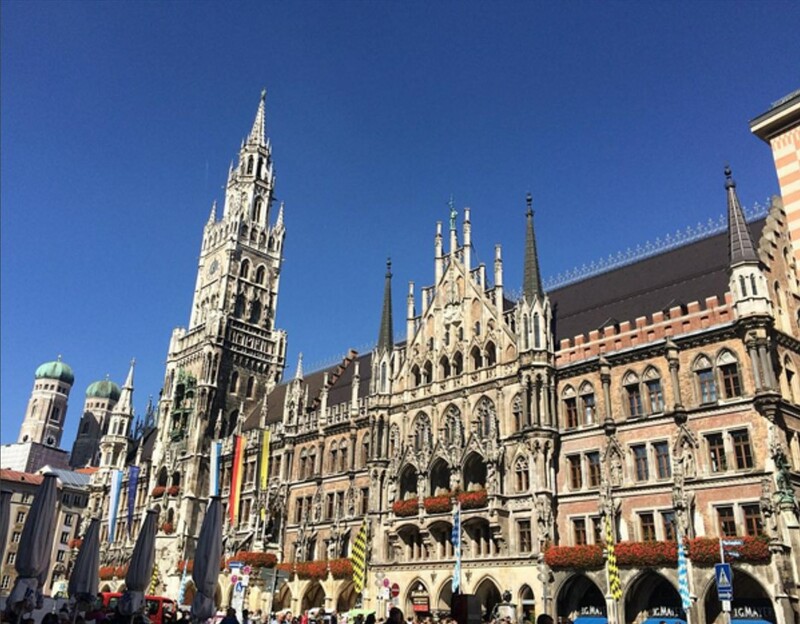 To top it off, the day after she got back, we were off to Munich for Oktoberfest (more on that further down). The point is, it’s not just me, we are in this together! So the two weekends I had on my own in London, I decided to spend one of them watching Oresteia at The Shakespeare’s Globe Theatre. If you are in London, short on cash but interested in theatre, look no further. You can get standing tickets at The Globe for £5 which you can book online or get on the day. In addition to watching Shakespeare (or whatever else you may be interested in), the experience of standing inside The Globe Theatre is unmissable. You really feel like you have time travelled into another era. The second weekend was spent at an Indian fare at Gunnersbury Park with friends, beer and a selection of yummy Indian grub. Starting with the flight, pretty much 90% of the people on board were going there for Oktoberfest. We sat next to this really friendly couple from Essex who we ended up hanging out and partying with for the entire trip. The term couple is used here very loosely, they were just friends travelling together. We had planned to meet them the next day for a walking tour. I mixed up the times, ended up showing up an hour late for the tour and started off on our own walking tour with the 5 of us. I think we had too many beer stops because by the time the tour was “completed”, we were a bit too “jolly”. 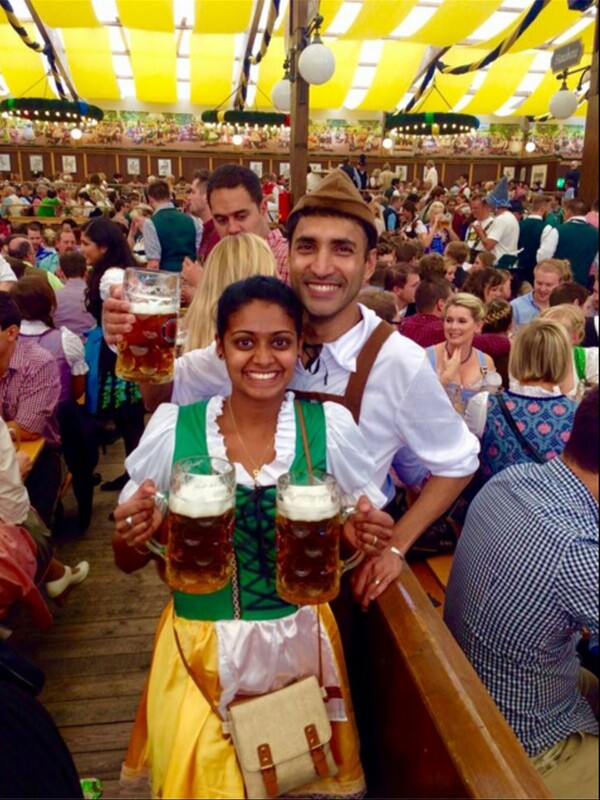 Next day was the Oktoberfest day and it was epic! Imagine a Christmas market with swings, carnis and then throw in some 14 tents serving beer and playing live music. 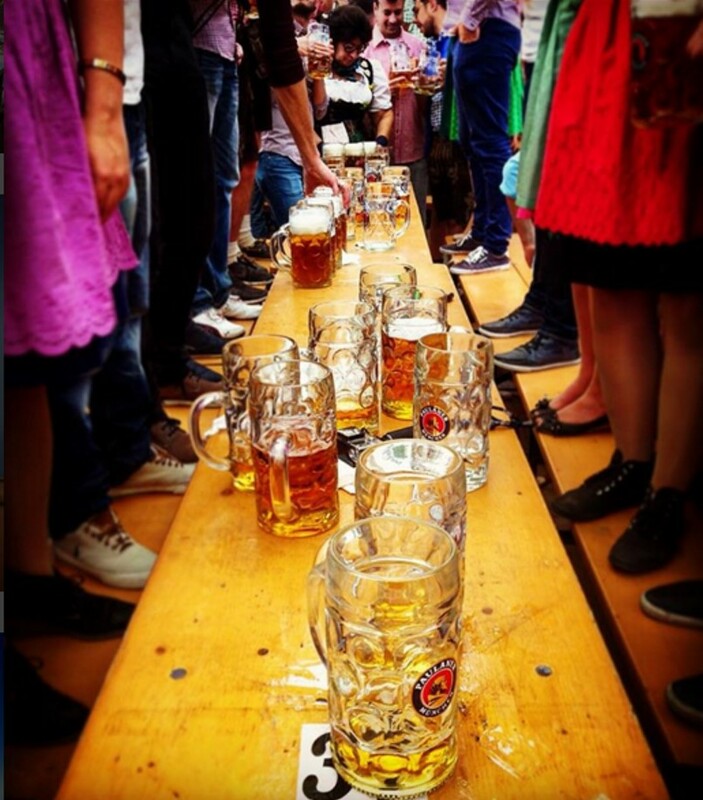 I have to say though, people in Germany can definitely drink (guys and girls alike). If such an event was to be organised in the UK or Australia, people would be in a strop at every corner. But then there is always one! So after a few drinks, all of us were dancing on the tables (rejoicing with our fellow beer drinkers) when this grumpy old lady kept elbowing me to get back onto my side (I already was). Then one of the guys on the table lost his balance and ended up taking Gee and I down with him. Result = the grumpy old lady got grumpier, yelling at us when Mrs FOMOist gave her the ups and we walked away and continued the party (fun times!). This is a message for Grumpy Old Lady – I really hope you fell down and broke a bone later in the night (not spiteful at all). 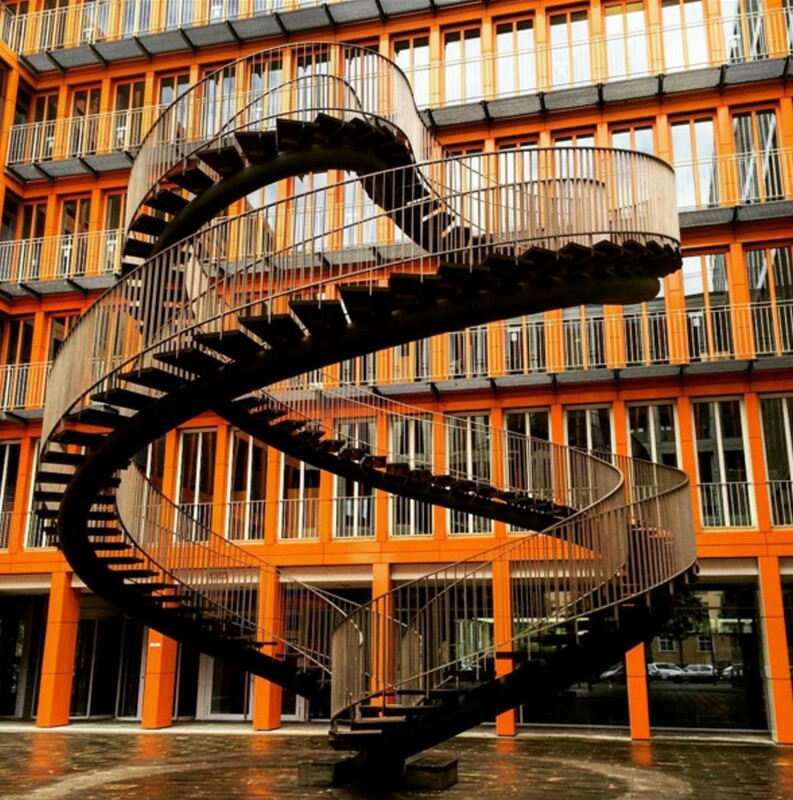 The day after the Oktoberfest, we decided to nurse our hangover by walking around, drinking coffee, eating at cafes, staring at the endless staircase, followed by some more beers with much nicer and friendlier old ladies from America who bought us all beers at a brewery. Earlier that day, our friend realised he had missed his 10.00AM flight because he thought the flight was at 10.00pm. He is now in Essex and very cautiously checks his flight details. 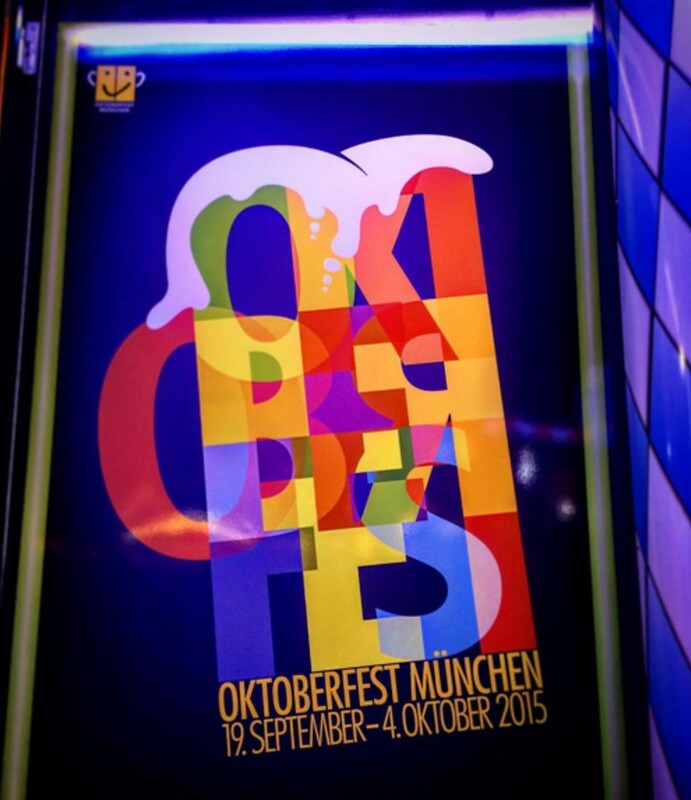 Parting words – You may have read this in numerous other blogs, but remember, Oktoberfest is actually in September. It starts mid-September and finishes in the beginning of October.